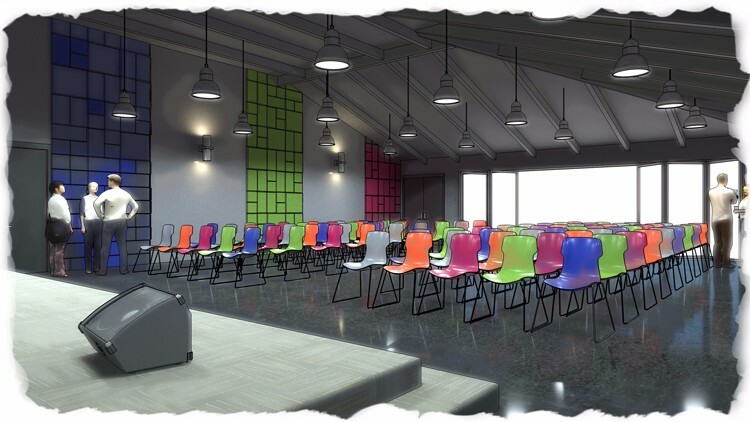 This multifunction community center in Patchogue, NY will help the Long Island headquarters of the LGBT Network continue their mission of providing a safe space and resource for thousands in the lesbian, gay, bisexual, and transgender (LGBT) community on Long Island. The building encompasses an existing 8,000 square foot single story building that was originally built to house a preschool. 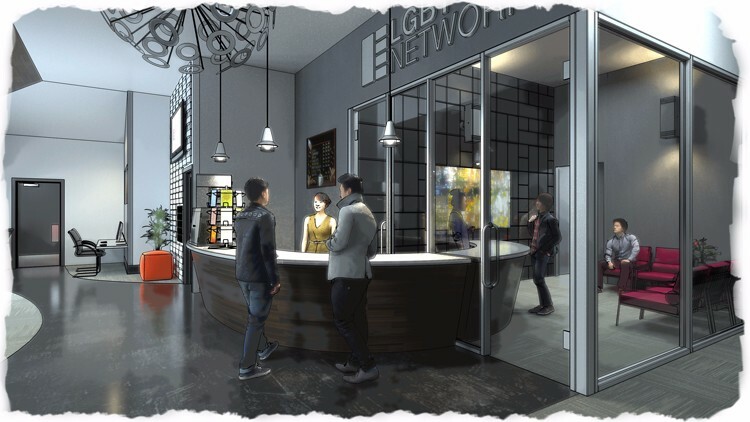 An additional 10,500 square foot addition in three floors will be added to meet the Network’s needs. The building will serve as a community center in every sense of the word. Some of the services and functions include a large community room seating 150 people, administrative offices and meeting rooms, youth drop-in center, featuring video games and a hang out space, a Roosevelt Field-style clothing boutique for disenfranchised youth to receive professional and casual clothing, a community computer center, and mailboxes. 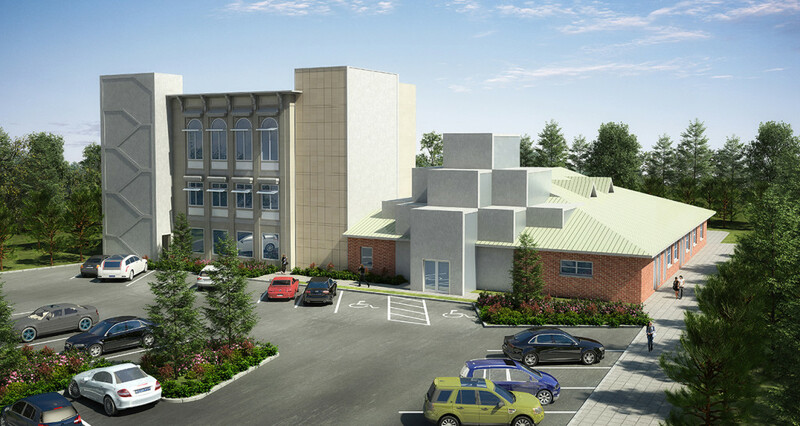 Additionally, a health clinic will encompass an entire floor incorporating general health services, mental health, dental and the first endocrine clinic on Long Island serving the transgender community. There will also be social amenities such as an art gallery, café, soaring light-filled atrium and a rooftop garden for gatherings. 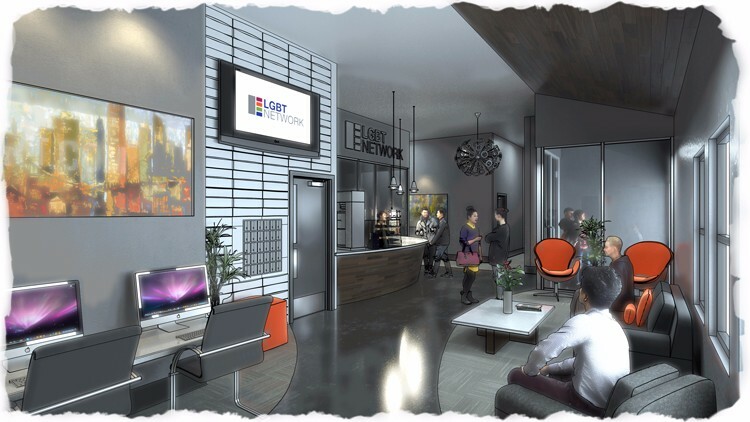 PCAP and the LGBT Network will seek a LEED certification for the new community center through the United States Green Building Council (USGBC) at the level of LEED Gold, with the possibility of attaining the highest level, LEED Platinum. Some of the green features will include a high efficiency thermal envelope, geothermal heating and cooling, management of construction waste and building materials, water conservation, indoor air quality management, and rainwater harvesting. In addition, the new center is a classic example of adaptive reuse of an existing building on a previously developed site. The building will have transportation ties to the community, Long Island and New York City with its bus, rail and van transport services. The existing parking will be used as a solar canopy array to collect enough energy to run the building, without adding any impervious surfaces to the site. 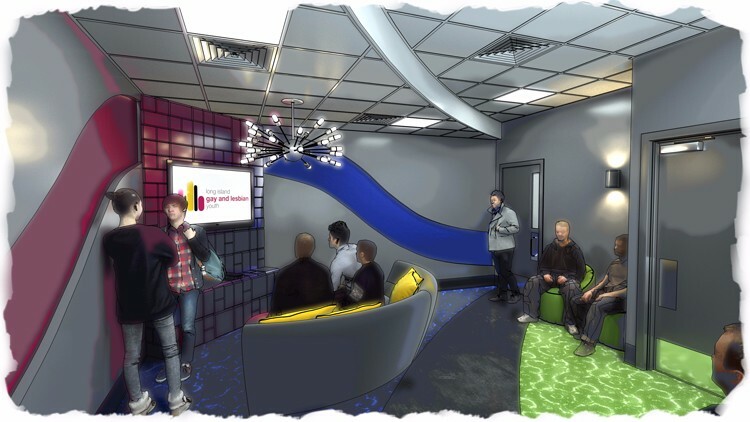 If LEED certification is attained, the center will be one of only three LGBT community centers nationwide with the Leadership in Energy & Environmental Design (LEED) status. 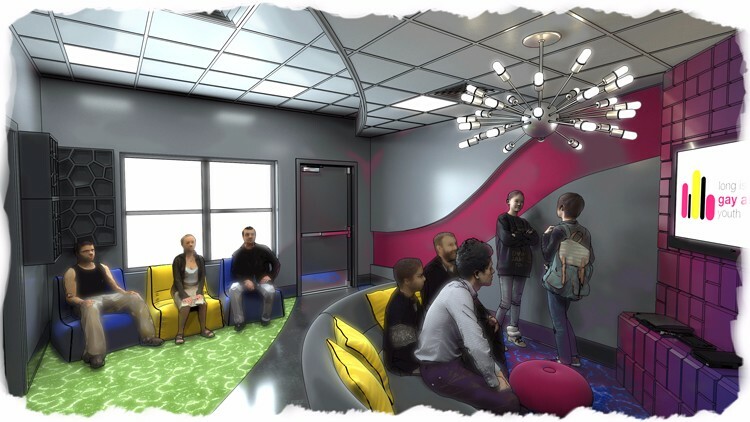 Through energy efficiency, PCAP aims to decrease ongoing overhead costs for the non-profit so that donations may be put directly towards supporting the LGBT youth of Long Island. Check out the full press release.